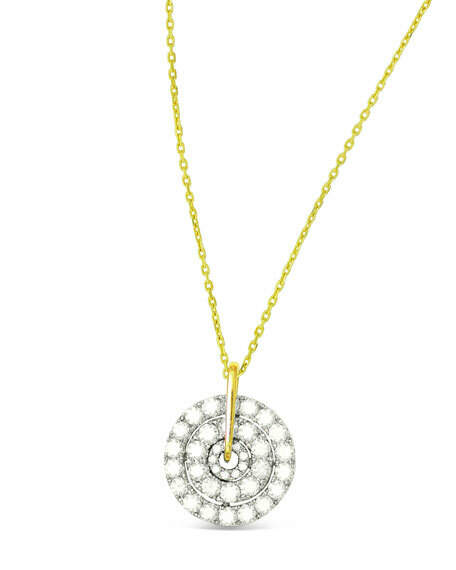 Firenze II spinning diamond pendant necklace by Frederic Sage. 18-karat yellow gold chain and bale with white gold pendant. Linear bale with round three-diamond row pendant.